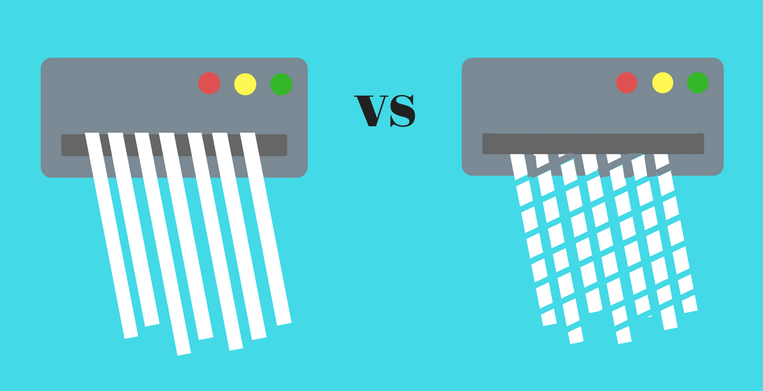 In the document shredding industry there are two main types of shredders: strip-cut and cross-cut. Choosing the right type of shredder is based on your individual needs, including how secure you want your shredding to be, how fast you want to complete the job, along with other factors. 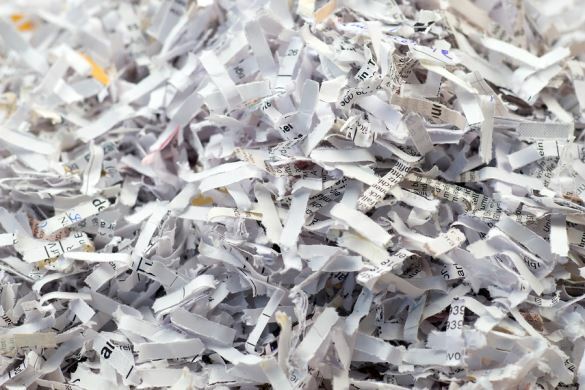 Documents that are cut into strips are easier to re-assemble than the confetti-like bits produced from a cross-cut shredder. With software and technological advances in scanning and reconstruction, strip-cut documents can be reassembled with some effort. Selecting a personal shredder that meets your needs will take time and consideration. If you choose to shred your documents yourself, we recommend a cross-cut or confetti shredder. When you toss all the shreds into one trash bin behind your house, it will be much harder (if not impossible) for a thief to reassemble the pieces. Need a Better Way to Shred? Shred Nations helps thousands of customers across the U.S. find the right shredding solution for their needs. Our partners shred documents for thousands of companies and individuals across the U.S. every day—their methods are tried and true. Whether you have dozens or thousands of documents that need to be shredded, we’ll help you find the service that best meets your needs. Call us at (800) 747-3365 or fill out the form on the right for free quotes on shredding services near you.